Home > Character Development, Movies, Writing	> Adaptation: Who Did It Better, Spider-Man or Rock of Ages? Adaptation: Who Did It Better, Spider-Man or Rock of Ages? I’ve talked about adapting source work for the screen on this site before, but I feel it’s a topic worth revisiting right now. That’s because we have two very big films out right now that were adapted from different source materials, but that have both been very hyped and carried big expectations for their respective studios. I’m talking about The Amazing Spider-Man (2012) and Rock of Ages (2012). These two couldn’t come from more different source material, with Rock coming from the hit Broadway musical and Spider-Man coming from a 60’s comic created by legends Steve Ditko and Stan Lee. But which adaptation was more successful? So far, the box office has spoken pretty heavily in favor of Spider-Man, but I’d like to delve a little deeper than just the dollars. Let’s start by taking a look at the premise from each film’s source material. 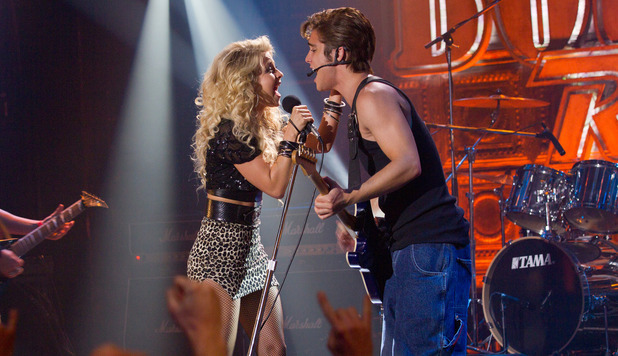 Rock of Ages: A young girl moves to LA looking to succeed in music and meets the man of her dreams working in a legendary rock bar. The bar is in danger of being shut down, and they all must band together to keep the bar they love open. Spider-Man: A teenage boy is bitten by a radioactive spider and is given spider powers, enabling him to climb walls and perform feats of superhuman strength. When he fails to stop a burglar, his Uncle Ben ends up dead forcing Spider-Man into a continuing battle against crime. So, looking at both of these, the movies are very similar in premise to their source material. Spider-Man expands on the comic universe to fill out the movie, but does spend a surprising amount of time building up the origin story and setting up Uncle Ben’s death. Here’s where the movies choose to go two different paths. Spider-Man chooses to stay very close to it’s comic book roots, with several differences from Sam Raimi’s Spider-Man (2002). First is the web shooters. Where the 2002 film gave Peter Parker organic web shooters, this year’s film makes the web shooters a mechanical creation, which is closer to the original comics. Probably the most noticable difference is the absence of Spider-Man’s longtime love interest Mary Jane. While Mary Jane is by far the most known of Peter Parker’s loves, Gwen Stacy is actually the first if you are following the comic mythology. Rock of Ages takes a very different approach to it’s characters, possibly a consequence of the star-studded cast. The characters are not necessarily changed, but have been given very different roles in the film version. Rocker Stacee Jaxx, as played by Tom Cruise in the film, is given a far larger and meatier role than in the Broadway musical where he exists as an enabling character for others. The role in the film is more rewarding, but it comes at a cost. Dennis Dupree (Alec Baldwin) and Lonny (Russell Brand), leading and critical characters to the Broadway musical, are reduced to small bit parts. Yes, it is those two that have the most to lose in the film, but we still only see them as comic relief. In the Broadway musical Lonny actually serves as the narrator and pushes the story forward, allowing the other stories to revolve around and intersect at the Bourbon Room. I enjoyed both of these films, and I had my reservations. Rock of Ages was coming on the heels of an amazing Broadway experience, while I felt that The Amazing Spider-Man was coming far too soon after the disappointing Spider-Man 3. But looking at them both with a little time under my belt, I’m not sure if I would have enjoyed Rock of Ages as much without the background of having seen the original material. Characters are overdrawn and campy. There are moments of legitimate fun, but they’re connected by forced musical numbers seemingly jammed in to show off the skills of a cavalcade of movie stars. The Amazing Spider-Man, on the other hand, feels organic and natural with a real connection between the cast members. I have a feeling you wouldn’t need a connection with the source material to enjoy the film. However, it does suffer from being released so closely to Sam Raimi’s trilogy which leaves a lot of moments feeling like we’ve been there and done this. This makes it a very unique scenario: two films released in the same summer that have equal positives and drawbacks. So, it’s up to you: which film was adapted more successfully? Vote in the poll below and leave your comments in the thread!